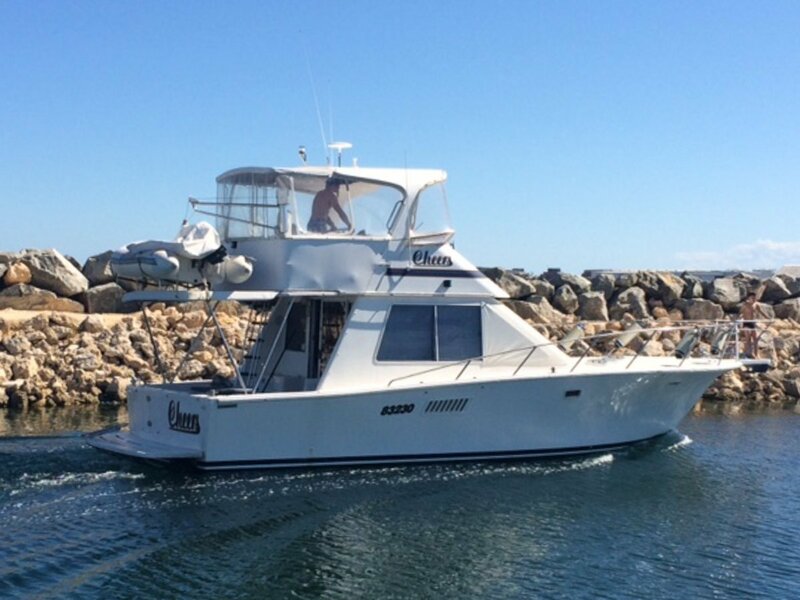 Designed locally by Peter Kent, the Prestige 37 needs no introduction in WA waters. With a deep V hull and a generous amount of flare in the bow section, the Prestige 37 delivers a comfortable dry ride. Accommodation has been very well thought out. 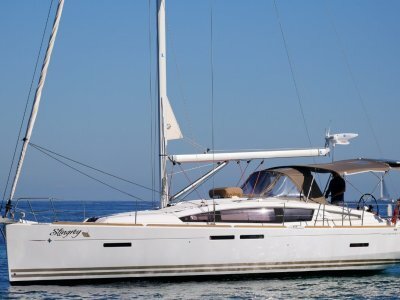 With a private double cabin on the starboard side and 4 single bunks in the bow, the P37 has been well designed to accommodate the whole family in comfort. For those unexpected guests, there is additional accommodation in the saloon area. There is a good size bathroom on the port side that features a completely separate shower stall. The compact and well-equipped galley features a two-burner stove, microwave and under bench eutectic refrigeration. 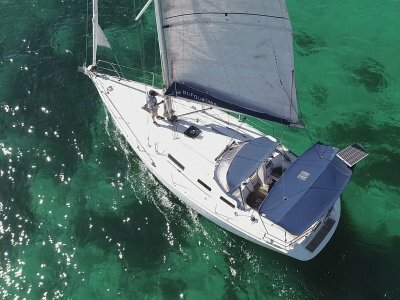 The current owner has owned 'Cheers' for the past 18 years and maintained her to a very high standard. 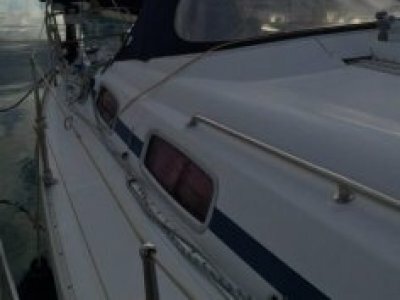 A fresh coat of antifoul and new prop speed was applied in September 2017. The reliable Caterpillar diesel engine was last serviced November 2017. Cheers come complete with a 3.1m RIB with a 15hp Mercury outboard. 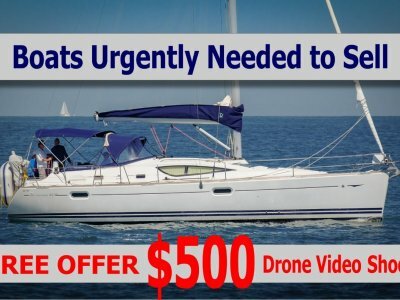 The tender is effortlessly launched and retrieved with the davit crane and stows securely on top of the bimini. At anchor, a Yanmar generator provides the amps for all onboard systems. For more information or to arrange a viewing, please call Chris Dobson on 0428 444 727. Yes - with seperate shower stall. Transom shower. Shore power with 30amp battery charger.